Awesome Efficiency Condo Located in The Heart of Orange Beach. Gulf Front Complex - Recently Remodeled with Granite Countertops, Newer Appliances, Upgraded Cabinetry, Fixtures, Tile Flooring Throughout, Custom Tiled Backsplash, Custom Tiled Walk In Shower. Private Balcony With Indirect Gulf Views. Relax, Unwind and Enjoy. Sugar Beach a Gated Complex That Features Private 24-Hour Security, Three Outdoor Pools, Kiddie Pool, Tennis Court, BBQ Area, Covered Parking, Deli and Gift Shop Open During Peak Season. 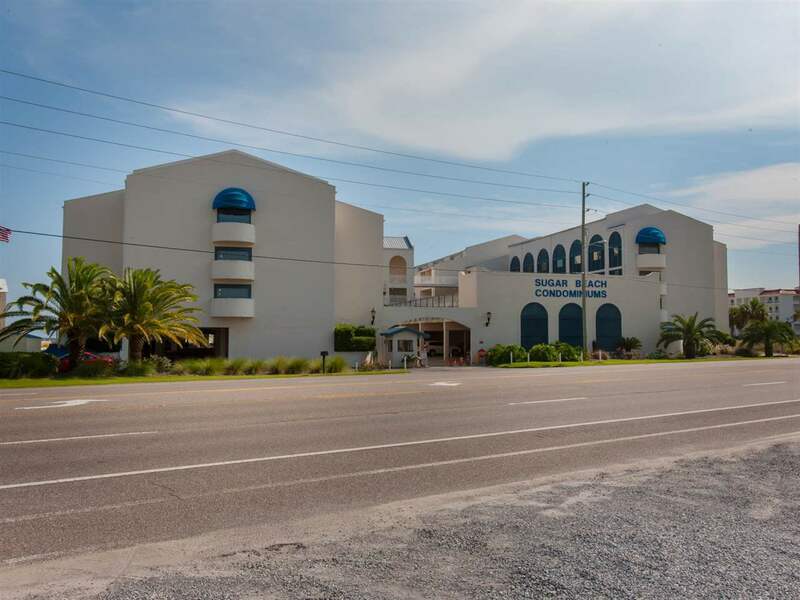 Prime Location â Just a Short Distance to Alabama State Park, Beaches, Shopping, Restaurants, Entertainment and More. Turn Key and Rent Ready. Don't Miss Your Opportunity to Own a Piece of Paradise. Directions: From Hwy 59 South - Turn Left Onto Beach Blvd - Travel Approximately 5 Miles - Sugar Beach Will Be On Your Right Hand Side (Gulf Side) Just Past State Park.